Director: Charlie McCarthy, Writer: Antoine Ó Flatharta, Producer: Martha O’Neill, DOP: Dave Grennan, Editor: Conall de Cléir, Production Company: Wildfire Films, Ireland, 2017, 3×50′, Rights: World (excluding Ireland). A TG4 3-part drama series set in contemporary Ireland in a dilapidated hotel centered around a love triangle that ends in tragedy. 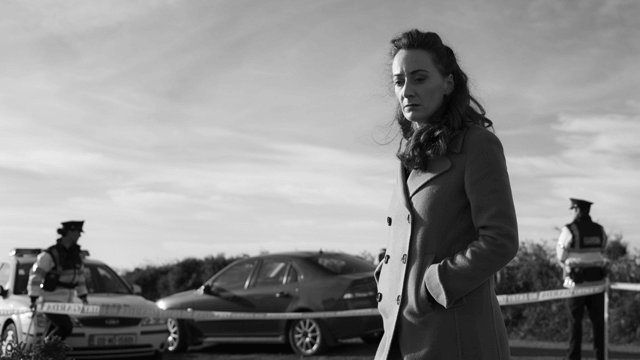 Grace (Kate Nic Chonaonaigh) and Leo Harte’s (Dara Devaney) lives change forever when Danny (Eoin Geoghegan) a young and ambitious surfer arrives. The middle-aged couple runs a crumbling hotel, Ostán Harte, a fixture on the landscape for many years. Grace feels she is stranded in a passionless marriage. Where Grace sees stasis, Leo sees stability and he does not share her hope that upgrading the hotel might inject new life into their relationship. As a result, their hotel and relationship seem consigned to a slow descent into decay. The series opens as the hotel shuts down at the end of the season and soon we learn this is a final closing. Danny, a young and ambitious surfer, sets up a surfing school on the beach adjacent to the hotel. Danny is eager to plug into the benefits provided by modern tourism and the Wild Atlantic Way. Grace meets Danny and confides in him how trapped she feels and that at times she wishes she was rid of Leo. Danny grants her wish and conspires in Leo’s murder but as events unfold, the intended victim is not the main casualty in this tangled web of relationships and betrayal. 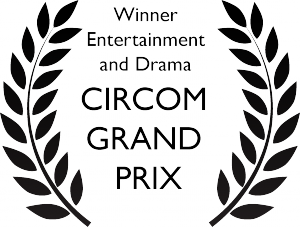 Winner of the Entertainment and Drama category at the Circom Grand Prix.